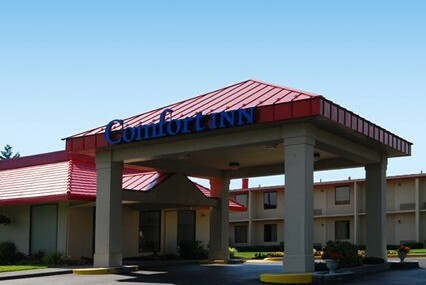 The Comfort Inn Winchester is the perfect place for Shenandoah Valley golf accommodations and is located right off interstate 81 just 3 miles from downtown Winchester. Golfers traveling to the Winchester and Front Royal Area will appreciate its close proximity to downtown as well as area golf courses including Rock Harbor, Blue Ridge Shadows and Shenandoah Valley Golf Club. Hotel amenities include breakfast each morning, free WiFi, outdoor pool, fitness center and restaurant on-site. 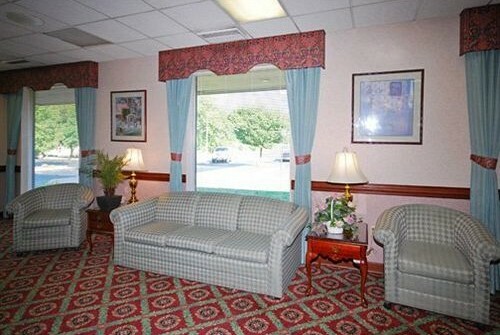 Double-Double guestrooms include refrigerator and microwave. Restaurants nearby include Denny’s (onsite), Applebee’s, Olive Garden and Outback Steakhouse.